iMessage for Windows: While Apple and Microsoft users do not see eye to eye with each other on most issues, there are some issues that are simply too obvious to be ignored. Like the fact that the Apple owners have access to the iMessage service, which has universally been hailed as one of the best instant messaging services in an ever-growing market. And how even the users of Window PCs can now use the iMessage for Windows service, something that was unthinkable even some time ago. A little background on the iMessage service before we jump right in. The iMessage Instant Messaging or IM service is available only on devices which run the iOS 5 and later OS versions. The iMessage for PC will also work only when one is trying to contact an Apple device, which might include an iPhone, an iPad, iMac, or anything that runs on the iOS platform, must run at least on the iOS 5 platform. You can only use the service on a Mac that is running OS X Mountain Lion or later. Apple’s iMessage service has received almost universal acclaim. In 2012, the US Mobile Data Market Update was released, which suggested that the decline of text messaging in the United States could be attributed to the rise in the usage of alternative free messaging services including iMessage. 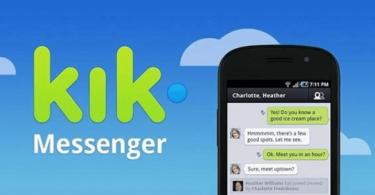 In March 2017, stunned by its success, Google declared that it would try and rival the iMessage service with its own service it called the Android Messaging service. Once you start using the iMessage on PC service, you will note that the service is faster than most comparable services and is full of useful hidden features. The trick to using the iMessage service on Windows PC is simple enough and it should not take you long. While WhatsApp is also rather popular, the iMessage for PC service has recently gained momentum especially as a way to communicate with Apple device users. Given below are the methods you can use. This method requires you to have a Mac by yourself, failing which you will not be able to activate the iMessage for Windows service. That and the Google Chrome web browser are the two things that you really need. The most important ingredient of this method is the Chrome Remote Desktop which will help you access the iMessage for PC. This is probably the most genuine approach to this issue. We have detailed the steps that you should keep in mind. First of all, download the Google Chrome Internet browser. 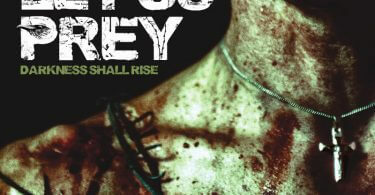 This must be downloaded for both the Windows PC and the Mac. This is the link that you can use. 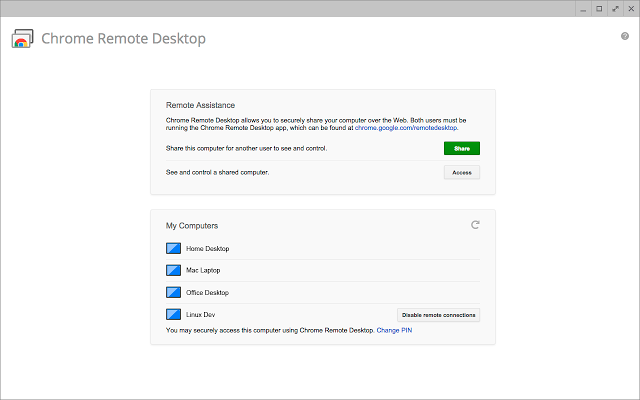 Go to the Chrome extensions store and then look for the Chrome Remote Desktop, which is also an extension. Install it on both the devices. Note that both the devices must run the same version of the Chrome Remote Desktop. You can also use this link. Once the extension has been installed, click on the ‘launch app’ button that you see on the top right. Mac device users may have to use an additional software called ‘Chrome Remote Desktop Host Installer’. To be on the safe side, make sure it is installed. Certain onscreen directions will now appear on the Apple devices. The process will ask for the password to the Mac. So, keep the password handy to be. Once the Chrome Remote Desktop on your iMac or MacBook has started, a 12-digit code will appear. Enter the same code on Google Chrome on the Windows PC as well. Once that is done, the remote desktop service will start working. Go to the app drawer now and look for iMessage application. Enable it. The iMessage for Windows is now ready for use. Lost your Mac data? Check out our best data recovery software for Mac! This method is very useful for those who do not have a Mac. This method is, therefore, also known as the method to use iMessage on Windows without Mac. In this method, we use an iOS emulator for Windows. The iPadian emulator is probably the best such emulator currently available. It is free, updated regularly, and more stable than most such emulators. 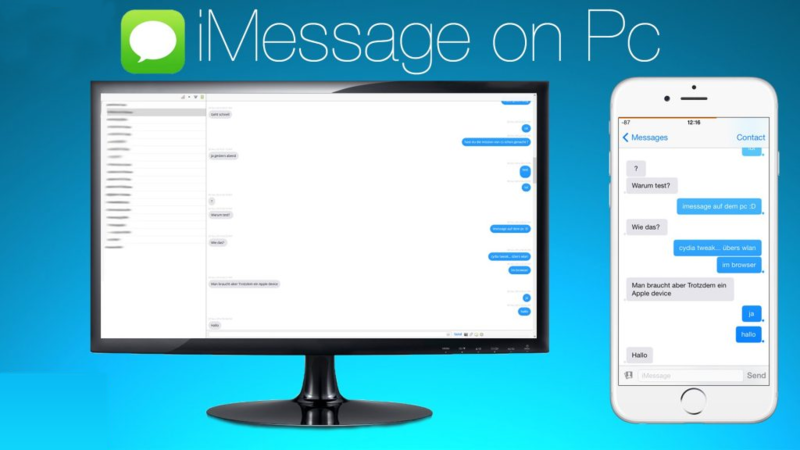 Follow these steps to use iMessage using iPadian. Visit this link to download the iPadian emulator. Be sure to download the latest version of the iPadian installer. You will notice that the installer file is a .exe file. Double click on it to install the iPadian emulator. Once the installation has been completed, run the iPadian emulator on the PC. Use your Apple credentials to log in. In case you do not have the Apple sign-in credentials, create one. You can now access the entire Apple apps ecosystem from your Windows PC. You will see that the interface of iPadian looks exactly like that of an iPad. hence the name. Look up iMessage in the apps section. Then launch it. The iMessage for Windows is now ready for use. A new third-party app has now appeared which claims that it can actually make the iMessage service work on a Windows PC. Called “PieMessage”, it was published by Eric Chee on GitHub. Here is the link if you want to use it. Not recommended by us, though. Anyone of these two methods will help you use iMessage for Windows. Note that there are many guides which ask you to use the Bluestacks emulator to run the iMessage. It does not work, so it is not recommended. Check out other interesting subjects on our website right now. this apps will come inbuild with Windows 12.